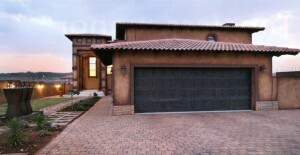 Stone and Style is a well reputed business entity offering various Cement Concrete Products in the pre-cast industry. 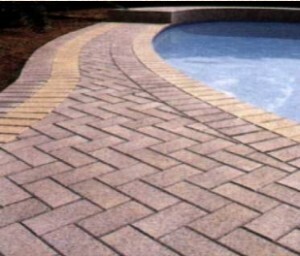 Our products range from wall cladding, bevel paving, interlockers, flagstone paving, cobbles, pool coping, stock bricks, maxi bricks, hollow blocks and tiles to name but a few. Stone and Style recently received SABS 1058 approval on their dry cast paving. Since its establishment in 2005, the company is offering best grade Cement Concrete Products to numerous construction industries. Owing to the best resources and skilled labourers, the company is recognized as prime manufacturers and suppliers of Cement Concrete Products. We have provided our products to reputed organizations and institutions including Cashbuild, Build It and Anglo Coal. 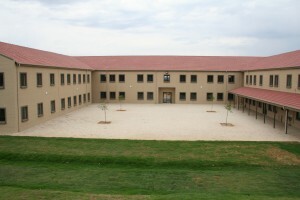 We are also continually involved in RDP housing projects. Our entire range of products is checked well in advance before dispatching it for the final delivery at the clients end. We strive to provide the best Concrete Products to fulfil increasing demand of the Construction Industry. Affordable Price; Top Strength; Lasting Impression: This combination IS possible – but it depends entirely on the company you choose to supply you with paving and cladding. -Their products must be top strength but also aesthetically beautiful. -They must not merely be order takers; but be able to advise you on the best choice for YOUR specific application. -Their service must be fast, reliable, and caring. -Their products must be realistically priced, and affordable. But now the Big Question: is there really any such company operating in the South African market? Based in Witbank / Middelburg, Mpumalanga, Francois and Annelie Maritz have built up an enviable reputation for Stone and Style over a very short period of time as being expert manufacturers in the paving, bricks and cladding field – regarding the quality, strength, and aesthetic beauty of their products; their prices; their service; and the expert advice they give prospective clients. They have a comprehensive range of different choices of paving and cladding – ranging from budget to top of the market. ALL their products are manufactured using SABS approved material. All products are laboratory tested for strength; and are way above the required standard for each product. Stone and Style products come in a variety of colours. We have both the product and colour that will make YOUR dream a reality. PS: If you happen to be in the area, do pop in for a chat and a cup of coffee – and discover the magic world of Stone and Style.